A healthy learning environment allows for study time and movement. We encourage you to make use of our fitness room and yoga lessons or borrow a bicycle to take in the wooded surroundings. 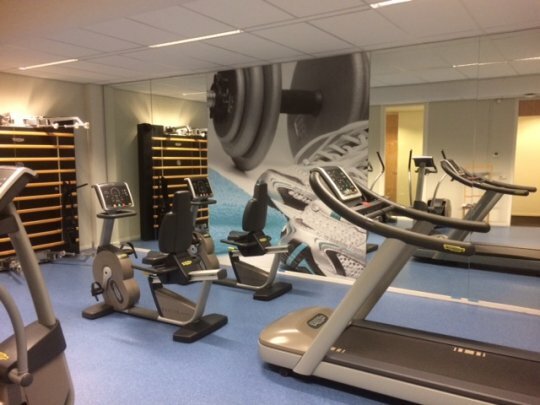 Course members can use the fitness facilities in the basement free of charge. There is a yoga/weight room and a cardio room. Every course member is welcome to join the yoga classes at Language Institute Regina Coeli. The aim of the yoga classes is to create space in the body and mind to provide an optimal learning environment. The vinyasa slow flow yoga classes are given by a qualified yoga teacher. Various skill level options are offered for poses which makes it accessible for every fitness and experience level. The lessons are given in the English language. Comfortable sports clothes are suggested, no shoes are required and yoga mats are provided. Tuesday 6.45 – 7.30 a.m.
Wednesday 6.00 – 7.00 p.m.
Join us at our institute's bar at the end of your day. 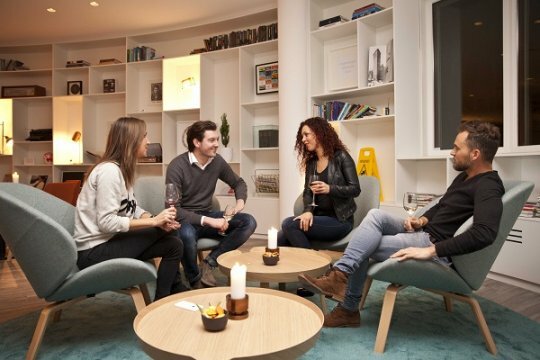 You will meet other course members and practice your language skills in relaxing, informal surroundings.